Here you will find information about the future public performance dates of Last Dodo shows. Where possible, ticket links have been included. Not seeing anything for your local area? Visit our Contact page and send us a message to let us know what you'd like to see. We can't promise anything but if we know you want it we can try and bring it! Tales of Fortnite, Pokemon, Operation, Pictionary and so much more! Great comedy for gamers young and old alike! In The Bally at Gluttony! The slime is coming back with a bigger and grosser show than ever before. 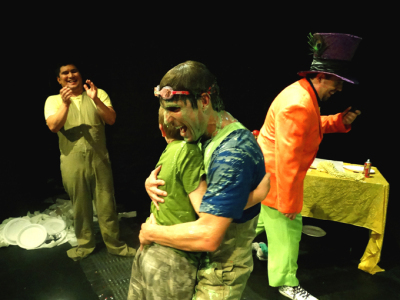 New guest team captains fight for the right to SLIME! Half hour sessions, 30 players per session. 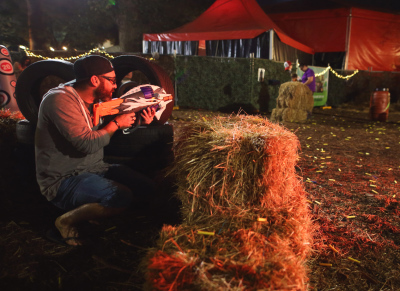 Warm up games give you the opportunity to earn bonuses then the final battle is an EPIC NERF FREE FOR ALL! Only one winner per session! In The Nerf Arena at Gluttony! A battle of street wits. Which stand up comedians from around the fringe have the smarts to win the title? Rounds include Yo Mama Battles, Heckle Put-Downs and Lip Sync Battles!